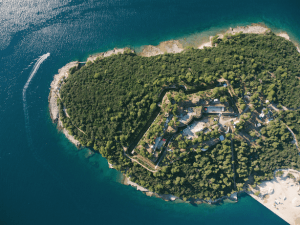 Fresh from the return of an outstanding eleventh year, Outlook Festival is back with a stand out line-up to celebrate their final year at Fort Punta Christo on Wednesday 4th – Monday 9th September. This year’s edition remains as forward thinking as ever in curation, inviting Chase & Status, Bugzy Malone, Goldie (live), Ghetts & many more. Outlook’s annual opening concert will be kicking off the proceedings for this year’s festival – set in a stunning amphitheatre in the neighbouring city of Pula. 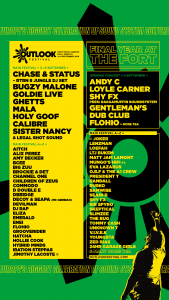 This year’s line-up invites Ram records label boss Andy C, South London rapper Loyle Carner, drum and bass master Shy FX performing live with hisRagamuffin Soundsystem, festival stalwarts Gentleman’s Dub Club and rising vocal talent Flohio who will join the final show in the stunning 2000-year-old amphitheatre. Built on the foundations of a deep admiration for sound system culture, Outlook festival champions the scene’s hottest talent and newcomers alike – uniting thousands of bass lovers for four days and nights soundtracked by high grade sound systems channelling dubstep, house, bass, garage, grime, hip-hop, DnB and everything in between. Waving goodbye to Fort Punta Christo, Outlook is making sure its final year at the fort will be one to be remembered. This year sees some of the most exciting talent head to the fort including drum and bass duo Chase & Status making their debut with a RTRN II JUNGLE dj set, Manchester’s quick fire rapper Bugzy Malone makes the line up, whilst DnB royalty and MBE holder Goldie will be performing live celebrating 25 years of Metalheadz. A solid crew of grime & rap talent joins this year’s edition, with figureheads Ghetts and D Double Erepresenting East London. North Manchester’s hardest barrer Aitch and rising rapper Unknown T will be playing this year’s edition, whilst MCs Killa P, Irah and Flirta D are not to be missed. With beginnings in jungle/DnB and now firmly representing the grime scene – President T will be back at Outlook, alongside West London’s Big Zuu. On a hip-hop flex, DJ Amy Becker will be bringing her selections to the Adriatic coast, championing the new gen sound, elsewhere Estonian rap prince & rising star Tommy Cash will be sharing to the stage DIY popstar Jimothy Lacoste. Northern heroes Children of Zeus return to Outlook with their genre-spanning jazz infused hip hop whilst, soulful singer Eliza and South London’s Flohio and Sam Wise will touch the mic with their raw and poetic bars. 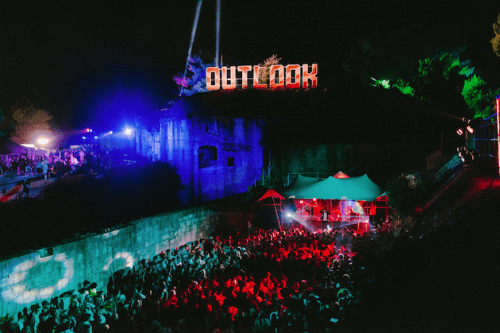 Supporting music from grassroots up, Outlook showcases some of the most notable names the drum and bass scene has to offer and this year is no different, inviting founding father Grooverider. Shy FX, a regular to the festival is also billed to play, alongside intelligent drum and bass stalwart LTJ Bukem. Calibre will be bringing his signature liquid DnB sound. Take a trip down memory lane with Randall who’ll be joined by dBridge, championing the low frequency sound and The North Quarter label boss Lenzman. Expect sonic explorations from Holy Goof, who will be taking things darker and deeper, meanwhile innovative producer Alix Perez heads back to the festival – not to mention Ninja Tune veteran The Bug. Sound system dons O.B.F will be bringing along The 1 Crew whilst staple figure to the scene Zed Bias will provide non stop bass heavy anthems. 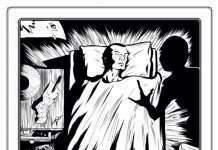 Veteran Paradox will perform live, as well as Sam Binga- an unstoppable force in the bass music scene. On MC duties expect none other than Sgt. Pokes and SP:MC, Blackeye, Tempza & Pean.